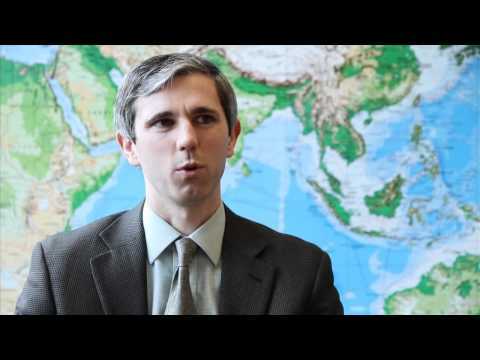 I am a literary and cultural historian whose research focuses on the modern Chinese-speaking world. My most recent publications concern laughter and comedy, celebrities, swindlers, print culture, cultural entrepreneurs, literary cosmopolitanism, and the scholar-writers Qian Zhongshu and Yang Jiang. I am also an active translator and recently completed a selected translation of a 17th-century work my colleague Bruce Rusk called The Book of Swindles. The year 2017 was the original work’s 400th anniversary; here are a video introduction and an audio introduction. At UBC, I am a member of the Department of Asian Studies; former Director of the Centre for Chinese Research; an associate of the Hong Kong Studies Initiative; and a Faculty Fellow of St. John’s College. Ithaca, NY: Cornell East Asia Series, 2019. Publisher. Da bujing de niandai: Jindai Zhongguo xin xiaoshi (The Age of Irreverence: A New History of Laughter in China). By Lei Qinfeng (Christopher Rea); translated by Hui-Lin Hsu. Publisher. Books.com.tw. Review 1. Review 2. Excerpt. Radio feature. Taipei, Taiwan: Rye Field, 2018. Amherst, NY: Cambria Press, 2018. Publisher. Amazon. Q&A. Wen Yuan-ning (1900-1984) was both an insider and an outsider on the politics of celebrity in modern China. Born into a Hakka family in the Dutch East Indies, he studied law at Cambridge University before moving to China to embark on a remarkably varied career. He taught English literature at China’s top universities, including Peking and Tsinghua, contributed to leading English-language periodicals such as The China Critic and T’ien Hsia Monthly, served in China’s legislature in Nanking, worked as a wartime propagandist in Hong Kong, and eventually was appointed as China’s ambassador to Greece. During the heady days of Anglophone publishing in 1930s China, Wen Yuan-ning edited for the Critic a series of “Unedited Biographies” (later “Intimate Portraits”) of famous contemporary Chinese personages. Wen and his collaborators—some of whom wrote anonymously—offered readers mischievous and idiosyncratic accounts of the careers and personalities of the people in the news. These celebrity sketches proved both controversial and popular, with several of them immediately being translated into Chinese. A selection of seventeen of Wen’s own contributions to the Critic series was published to acclaim in 1935 as the book Imperfect Understanding. Yet Wen and his contributions to Chinese literary culture disappeared from the historical record after the founding of the People’s Republic, likely because Wen wrote in English and had close ties to the Chinese Nationalist Party. 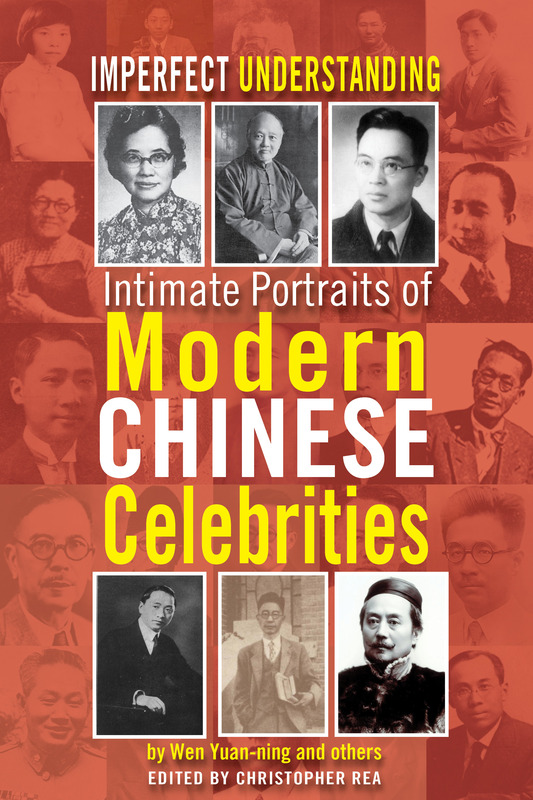 What did it mean to be a celebrity in 1930s China? Who were Republican China’s preeminent intellectuals, writers, artists, politicians, diplomats, and businesspeople, and how were they represented in the popular press? This anthology brings together fifty rediscovered essays, written in English in 1934, which offer fascinating, close-up profiles of a constellation of celebrities. From the warlord Han Fuju to the Peking Opera star Mei Lanfang to the intellectual leader Hu Shi to the novelist Lao She to ambassador Wellington Koo to the Singaporean Chinese entrepreneur Lim Boon Keng to the deposed Qing Emperor Puyi, the series presents a panorama of Chinese elites. Imperfect Understanding represents a significant archival discovery, a literary collection which provides valuable biographical information about major modern Chinese historical figures and represents a unique artifact of the pre-war heyday of Anglophone literary culture in China. Imperfect Understanding is both an entertaining work of literature, by turns comedic and touching, and an important historical document. Its fifty sketches represent influential Chinese historical figures warts and all, in the eyes of contemporary observers seeking to provide readers an alternative to the autobiographical puffery of popular books like Who’s Who in China. Christopher Rea’s introduction offers new research on the forgotten literary figure Wen Yuan-ning and argues that one of the essays published under his name was written anonymously by a young man who went on to become one of modern China’s literary giants: Qian Zhongshu. This edition of Imperfect Understanding also includes multiple reviews of Wen’s book, brief biographies of the subjects of the Critic series, and a bibliography of further writings by and on Wen Yuan-ning. The Book of Swindles: Selections from a Late Ming Collection. By Zhang Yingyu (fl. 1600s), translated by Christopher Rea and Bruce Rusk. New York, NY: Columbia University Press, 2017. Publisher. Amazon. Ming dynasty edition. Sample story 1. Sample story 2. Q&A. Review 1. MCLC Review. Sinica Podcast interview. Audio interview. 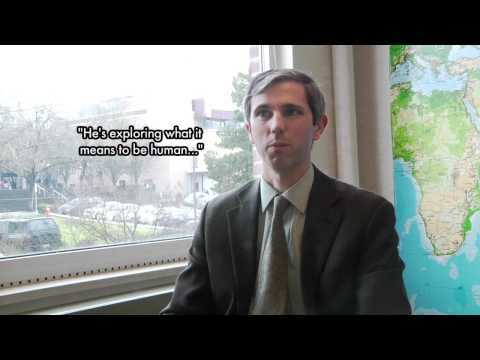 Video introduction. 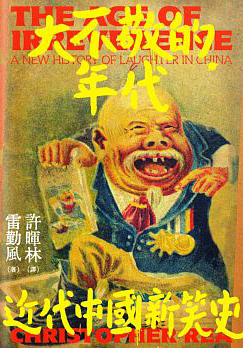 The Age of Irreverence: A New History of Laughter in China. Oakland, CA: University of California Press, 2015. Publisher. Amazon.E-book. Kindle. Author Q&A. New York Times. Rorotoko. MCLC review. Video (6 min). Read excerpts here and here. Winner of the 2017 Joseph Levenson Book Prize (Post-1900 China), awarded by the Association for Asian Studies. Here’s a brief video interview about the book with ChinaFile. A few bonus visuals I wasn’t able to include in the book appear in this discussion (part 1 of 3) of Chinese laughter between me and Henry Jenkins, a scholar of new media, cinema, and vaudeville. 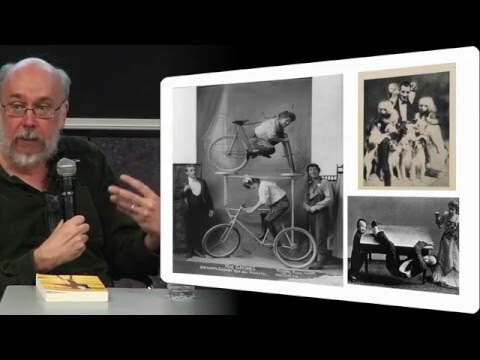 Watch a video of a recent discussion between me and Prof. Jenkins about “The Ancient Art of Falling Down: Vaudeville Cinema between Hollywood and China” or read the transcript, which contains images and film clips. 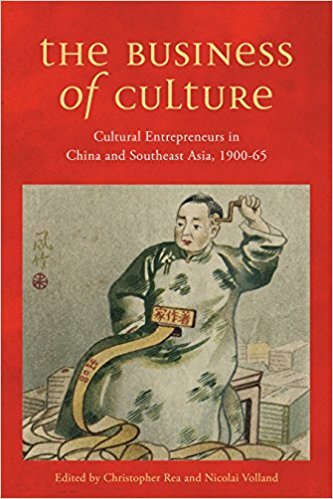 The Business of Culture: Cultural Entrepreneurs in China and Southeast Asia, 1900-60. Vancouver, BC: UBC Press, 2015; Hong Kong: Hong Kong University Press, 2015. From the late nineteenth- to the mid-twentieth century, changes in mass media, transportation, and communication technologies provided unprecedented opportunities for the entrepreneurially-minded in China and Southeast Asia. Read a sample chapter (PDF). Google Books preview (HTML). China’s Literary Cosmopolitans: Qian Zhongshu, Yang Jiang, and the World of Letters. Boston and Leiden: Brill, 2015. Read the Introduction (PDF), chapter 7 (PDF), and Epilogue (PDF). Listen to a talk about Qian and Yang. By Zhang Yingyu (fl. 1600s); translated by Christopher Rea and Bruce Rusk. New York, NY: Columbia University Press, 2017. Publisher. Amazon. Ming dynasty edition. Sample story 1. Sample story 2. Q&A. Review. MCLC Review. Sinica Podcast interview. Audio interview. 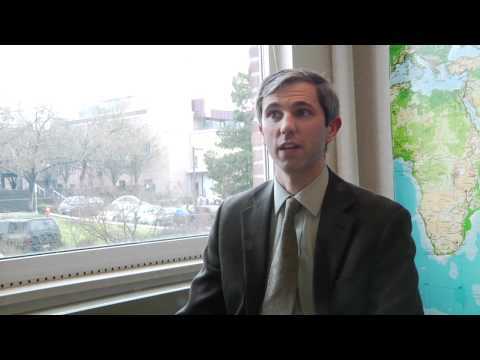 Video introduction. Oakland, CA: University of California Press, 2015. Levenson Prize. Publisher; Amazon. E-book. Kindle. Author Q&A. Illustrated Q&A. New York Times. Rorotoko. 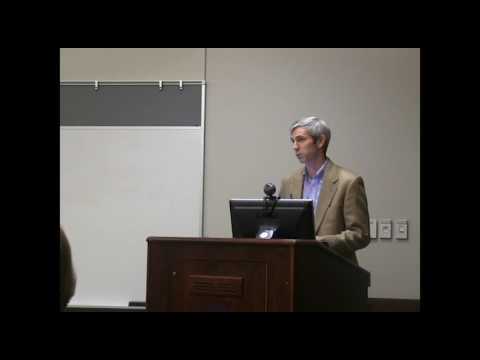 MCLC review. Audio interview (68 mins). Video interview (6 mins). Read excerpts here and here (HTML). 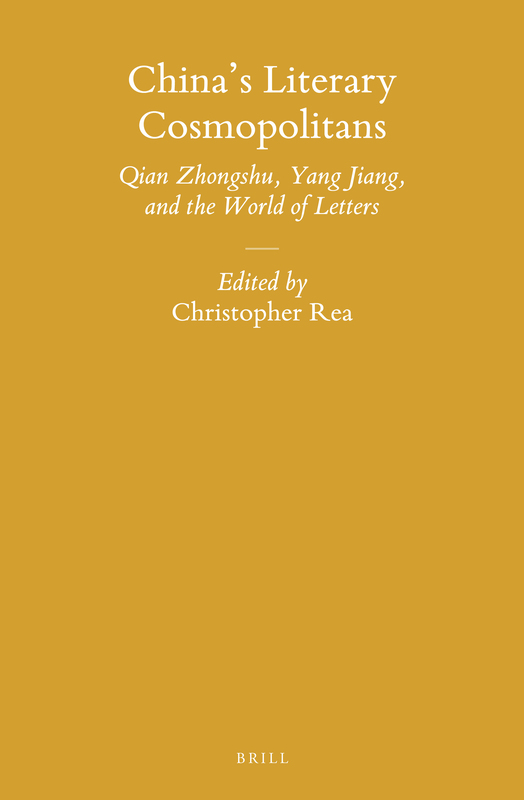 China’s Literary Cosmopolitans: Qian Zhongshu, Yang Jiang and the World of Letters. Leiden and Boston: Brill, 2015. The Business of Culture: Cultural Entrepreneurs in China and Southeast Asia, 1900-65. Vancouver, BC: UBC Press, 2015; Hong Kong: Hong Kong University Press, 2015. Introduction (PDF). Humans, Beasts, and Ghosts: Stories and Essays by Qian Zhongshu. New York: Columbia University Press, 2011. Read the first story (HTML). 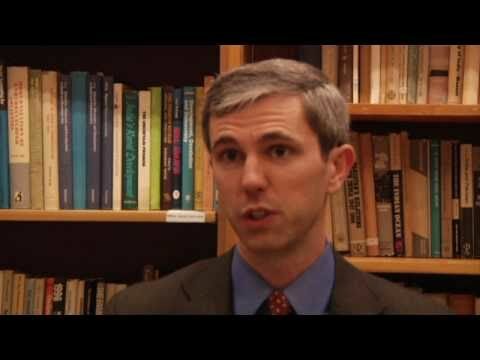 William Sima and Christopher G. Rea, eds. “Focus on The China Critic (Zhongguo pinglun zhoubao).” A combined issue of China Heritage Quarterly, nos. 30/31 (June/September 2012). Link to full issue (HTML). 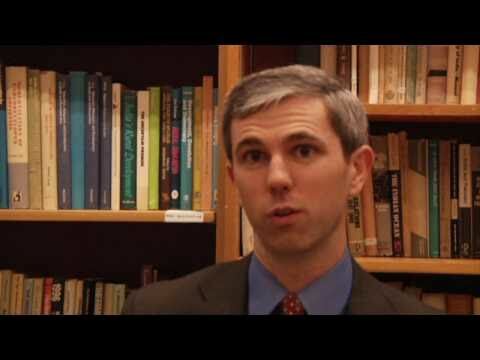 Christopher G. Rea and Nicolai Volland, eds. “Comic Visions.” A special issue of Modern Chinese Literature and Culture, 20: 2 (Fall 2008). “‘To Thine Own Self Be True’: One Hundred Years of Yang Jiang.” Renditions, no. 76 (Fall 2011), pp. 7-14. “‘I Envy You Your New Teeth and Hair’: Humor, Self-Awareness, and Du Fu’s Poetic Self-Image.” T’ang Studies, No. 23/24 (2005-2006), pp. 47-89. Article (PDF). “Introduction: All the World’s a Book.” In China’s Literary Cosmopolitans, pp. 1-13. “The Institutional Mindset: Qian Zhongshu and Yang Jiang on Marriage and the Academy.” In China’s Literary Cosmopolitans, pp. 157-178. “All Will Come Out in the Washing.” In China’s Literary Cosmopolitans, pp. 227-231. (with Nicolai Volland). “Introduction.” In The Business of Culture, pp. 3-8. Full text (PDF). “Enter the Cultural Entrepreneur.” In The Business of Culture, pp. 9-31. Full text (PDF). “‘He’ll Roast All Subjects That Might Need the Roasting’: Puck and Mr. Punch in 19th-c. China.” In Asian Punches: A Transcultural Affair. Hans Harder and Barbara Mittler, eds. Berlin: Springer, 2013, pp. 389-422.Publisher’s description (HTML). Chapter (PDF). “Spoofing (e’gao) Culture on the Chinese Internet.”In Humour in Chinese Life and Culture: Resistance and Control in Modern Times. Jessica Milner Davis and Jocelyn Chey, eds. Hong Kong: Hong Kong University Press, 2013, pp. 149-172. Publisher’s description (HTML). Chapter (PDF). “Qian Zhongshu de zaoqi chuangzuo” (Qian Zhonghu’s Early Creative Works). In Zhongguo xiandai xiaoshuo de shi yu xue: xiang Xia Zhiqing xianzheng zhiqing (History and Learning in Modern Chinese Literature: A Tribute to C.T. Hsia). David Der-wei Wang, ed. Taipei: Lianjing chubanshe, 2010. Simplified character version (HTML). “Cong keting dao zhanchang: lun Ding Xilin de kangzhan xiju” (From the Parlor to the Battlefield: Ding Xilin’s Wartime Comedies) [in Chinese]. In Wenxue xinglü yu shijie xiangxiang (Traveling Chinese Literatures and World Imaginations). David Der-wei Wang and Ji Jin, eds. Nanjing: Jiangsu Educational Press, 2007, pp. 165-187. Chapter (PDF). Chapter (HTML). “‘Zuori fei jinri’: Tian Zhuangzhuang Xiaocheng zhi chun zhong lishi yuyang de youling zaixian” (Hauntings of Historical Desire in Tian Zhuangzhuang’s Springtime in a Small Town [in Chinese]. In Xiangxiang de benbang: xiandai wenxue shiwu lun (National Imaginaries: 15 Perspectives on Modern Chinese Literature). David Der-wei Wang and Kim Chew Ng, eds. Taipei: Rye Field Publishing, 2005, pp. 161-180. Chapter (PDF). Xu Zhuodai. “Opening Day Advertisement.” Renditions, no. 87 & 88 (Spring/Autumn 2017), pp. 192-202 (with “Introduction to Xu Zhuodai” on pp. 189-191). Issue contents (HTML). Essays by Huang Chunming, Wang Zhenhe, and Zhong Mingde. In: The Columbia Sourcebook of Literary Taiwan. Sung-sheng Yvonne Chang, Michelle Yeh, and Ming-ju Fan, eds. New York: Columbia University Press, 2014. Xu Zhuodai. “The Secret Room.” Renditions, no. 77 & 78 (Spring/Autumn 2012), pp. 78-86. Issue contents(HTML). Full text (PDF). Zhang Letian. “Consuming the Absurd: Satire and Humour in Contemporary Chinese Art.” Go Figure! : Contemporary Chinese Art. Claire Roberts, ed. Canberra: National Portrait Gallery of Australia, 2012, pp. 58-70.Book description (HTML). Full text (PDF). Yang Jiang. “Heart’s Desire: Act I.” Renditions, no. 76 (Autumn 2011), pp. 15-33. Excerpt (HTML). Full text (PDF). Yang Jiang. “What a Joke.” Renditions, no. 76 (Autumn 2011), pp. 34-67. Issue contents (HTML). Full text (PDF). Xu Zhuodai. “The Fiction Material Wholesaler.” Renditions, 67 (Spring 2007), pp. 47-62. Issue contents (HTML). “Hong Kong on the Brain.” Review of Hon Lai-chu. The Kite Family. Translated by Andrea Lingenfelter. Hong Kong: East Slope, 2016. Los Angeles Review of Books China channel, 11 December 2017. Pi-Ching Hsu. “Feng Menglong’s Treasury of Laughs: A Seventeenth-Century Anthology of Chinese Humour.” Ming Studies 76 (Oct. 2017): 107-109. Yu Hua. Brothers: A Novel. Tr. Eileen Cheng-yin Chow and Carlos Rojas. New York: Pantheon, 2009. Modern Chinese Literature and Culture Resource Centre (online), October 2011. Review (PDF). Review (HTML). Chinese version (PDF). Chinese Film Classics. A study of the most artistically accomplished (extant) films produced in China before 1949. 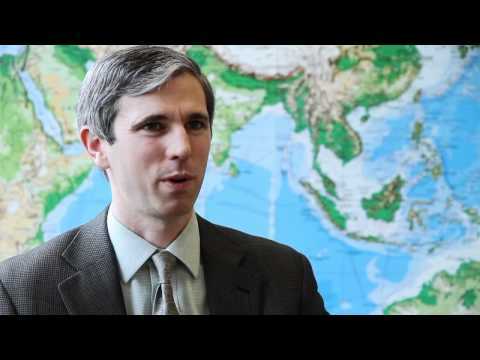 China on the Make: Stories of Chinese Deception. A history of how and why deception has been such a dominant theme in Chinese storytelling traditions, and in stories circulating worldwide about Chinese culture. The Unfinished Comedy. A sequel to The Age of Irreverence, discussing how Chinese comic culture changed from the 1930s through the Anti-Japanese War, the Chinese Civil War, and into the early years of the People’s Republic. I welcome inquiries from prospective MA and PhD students interested in conducting research on modern Chinese literature, cinema, and culture. When writing, please include a brief summary of your research interests, academic background (including your proficiency in Chinese and other languages), and why you are interested in studying at UBC. Introduction to and analysis of artistically significant films made in mainland China during the first half century of Chinese film history. Study of one influential modern Chinese author, such as Lu Xun, Shen Congwen, Eileen Chang, Yu Hua, Mo Yan, or Wang Anyi. Same as Comparative Literature 506A.